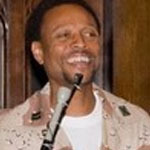 Michael McPhearson joined the Army Reserve as an enlisted soldier at the age of seventeen. He went on to become a field artillery officer in the 24th Mechanized Infantry Division during the first Gulf War and eventually separated from active duty in 1992 as a Captain. Mr. McPhearson is now the national executive director of Veterans For Peace, where he oversees all programs, communication, and administration. 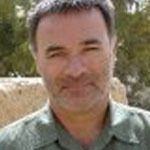 Dahr Jamail is a staff reporter for the website Truthout and is the author of “The Will to Resist: Soldiers Who Refuse to Fight in Iraq and Afghanistan” and “Beyond the Green Zone: Dispatches from an Unembedded Journalist in Occupied Iraq.” Mr. Jamail reported for more than a year in Iraq, as well as from Lebanon, Syria, Jordan and Turkey over the last ten years and has won the Martha Gellhorn Award for Investigative Journalism among other awards. Thank you for your noble treatment of the festering scourge that is US militarism. VJP and the IVAW formed the first cogent US organized movement of veterans against criminal war. Nevertheless, the public reception to their strong, courageous stance has been ho-hum. The war economy, news media and the fervent IPO of every new engagement has numbed much of the public. From the POV of the peace and antiwar movement, the ambivalence, apathy alienation of the US public seems ironic since millions of us poured out into the streets worldwide–before shock and awe occurred, in the chilly winter weeks of 2003. I will keep the bumper of my car stickered with Refuse Illegal War from the trial of Lieutenant Ehren Keoni Watada in which he the first US military officer won in his effort to protest a US war and refuse to serve in it. Thanks again, brothers in flower power. Thank you again you guys preparing this wonderful show. I hope you are able to spred the word fare out in the US and abroad. The war in Iraq is and has been a disgrace for the whole world. The war criminals as you list them have to be put on triel and and convicted. Unfortunately that seems to be a fare fetch dream in todays political clima. Though there is still hope for justice to happen!